I met Molly Ringwald on Twitter. File that statement under: 2012, things I never thought I'd type, awesome. Of course we know her as the epic and adorable 80s teen idol and actress (and I grew up in John Hughesville, so, it's taken incredible restraint to play it cool when we've swapped emails), but today she is the epic and adorable prolific author. Her first book, out two years ago, Getting the Pretty Back addresses beauty, motherhood and facing 40 with gusto. Her next book, When It Happens to You: A Novel in Stories, is coming out this September! 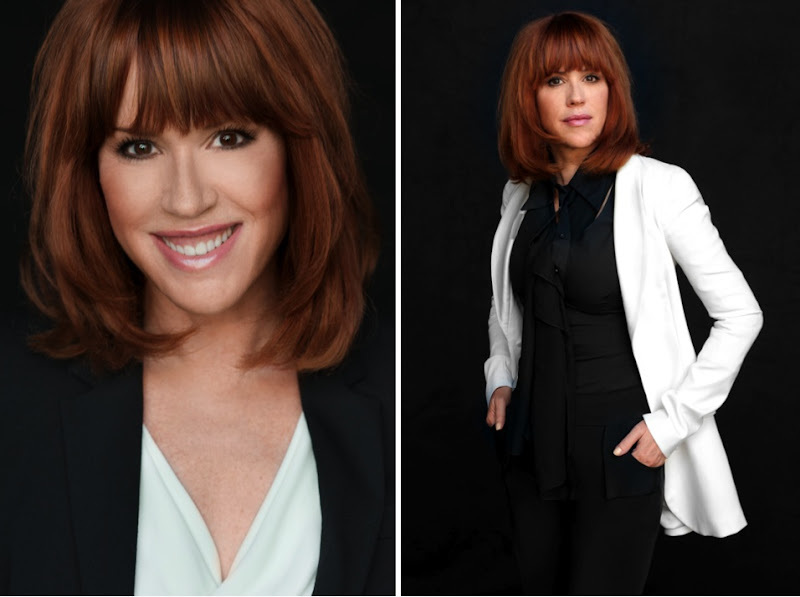 I have to say, I love Ringwald because of her iconic and brilliant portrayals as tomboy style antipodes (Samantha Baker, Claire Standish, Andie Walsh), but I love her even more because, today as a mother, author, actress and jazz singer, she has embraced that strong style and spirit that we call Tomboy Style. If not in Los Angeles, I would live in... New York City. My dream holiday would be to...The Amalfi Coast. Food: Hand-rolled pasta with lemon and Parmesan. Music: Jazz music. Especially Blossom Dearie and Anita O’Day. Retail Stores: Creatures of Comfort, APC, Thom Browne, J Crew. The fictional characters I most relate to are...all of the characters in my new book When It Happens To You (Harper Collins, September 2012)! If I had to be outdoors all day I would...tear up every lawn in sight and plant vegetable gardens in their place. My favorite quality in a woman is...honesty. I'm terrified of...being trapped in a room with Fox News playing on a non-stop loop. My dream car is a...White Stingray a la Joan Didion circa 1970. My celebrity crush is...Steven Colbert. The beauty product of choice is...a happy love life. My friends and I like to...have elaborate “friends and family” dinners al fresco. If I could go back in time for one decade it would be...the 1920s in the South of France. As a teenager I was totally into...F. Scott Fitzgerald. Confidence...is what makes me have Tomboy Style. whoa. I'm off to the internets to find muddled sungold tomatoes. I truly admire Molly Ringwald. I grew up in the suburbs just outside of Sacramento, and local lore always said that Molly's childhood home was just a few streets away from my own. What a cool thing for a young woman to think and dream about! Wow! She came from the same place as me! Great interview with a uniquely charming woman. Ahhhh! Molly! Fantastic Q & A. Looking forward to her new book. So interesting. From a fellow Molly, a tip of the hat! She is a total inspiration for women who want to live life in confidence and happiness. She sounds really cool, thanks for this. And I agree with Baleen that cocktail sounds beyond. That was my girl in high school. I am so glad she grew up happy and healthy. This was a fantastic interview. All of her answers were perfect. I was indifferent towards M.R. until today! Love her! Love that she would tear up proper lawns and put in vegetable gardens instead. Smart, practical, and beautiful. Nice. This & her Reddit AMA! She is the coolest !